Overnight Camping is avalailable at Runway Park -- Currently Park has no power or waste disposal hook ups, but there are washrooms on site. If you are planning on coming to stay you can always call Ryan Nolan at (705)206-7322 to ensure the park gates will be open. 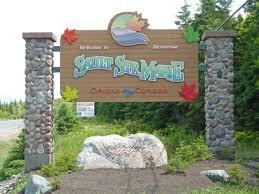 Sault Ste Marie, Ontario ?? Check out our Sponsor Page so that you can support local businness that support the track during your visit.